.....then her handwriting !! " Sounds so relevant to me, since I judge a woman by her fragrance. Perfumes always makes me happy, even when I don’t love the aura — it’s pretty rare that one has bored me !! My calling lies in woody n a bit strong fragrance, which is not too fruity or floral. Hence, I am a bit choosy about what settles on my body and how I feel comfortable with myself. 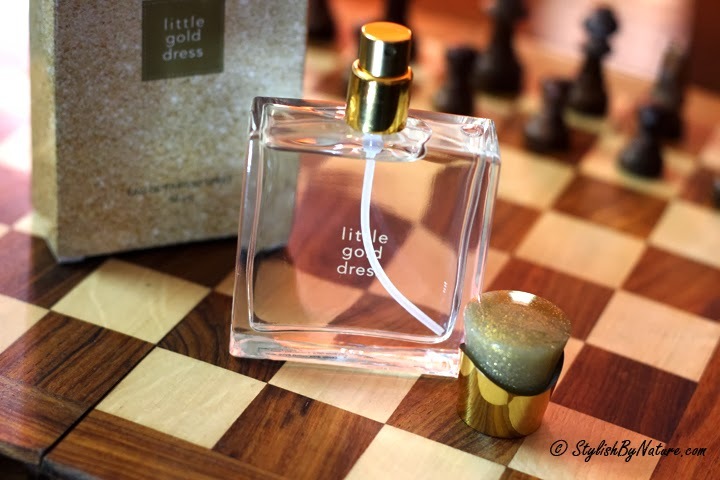 So, when Avon Little Gold Dress EDP came knocking my door, I so wished it should be a parfum worth scoring a place into my closet. Glamorous, radiant, always stylish - shine at every special occasion in a dazzle of sparkling fruits, timeless florals and rich golden amber. The perfume is described as a fruity floral oriental spray that opens with a bright burst of citrus from Clementine and luscious notes of Peach juice and purple plum. Irrespective of the ingredients and the description, I found the perfume to be of liking since its not too fruity. The first whiff .... the smell was strong and sensual. Finally it settled down and I liked how well balanced and elegant it was ! !The perfume can be worn during day or evening and lasts for good 3-4 hours. 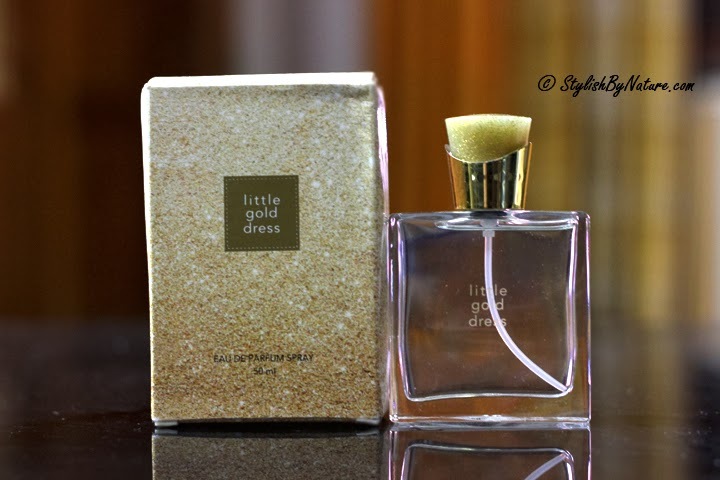 On the lighter note, the packaging and the perfume bottle was not upto the luxurious standard which 'Little Gold Dress' as the name portrays (and perfume bottles speak a million words about the juice inside) Wish Avon had jazzed up the bottle slightly !! 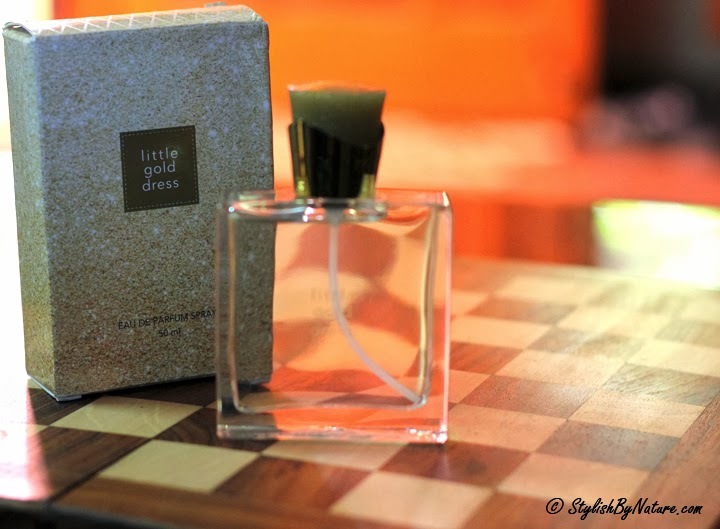 The Little Gold Dress is available from October onwards through Avon representatives and priced at Rs 1199.